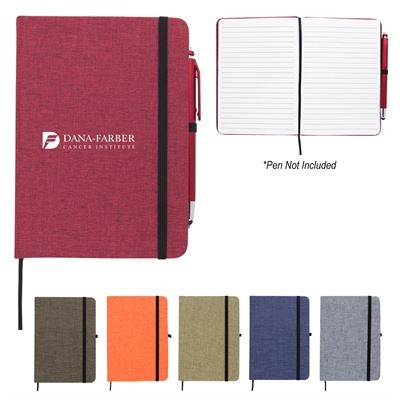 These promotional Poly Canvas Notebooks are perfect for your business, school, or organisation. You may use them to promote your cause, boost brand recognition, keep notes, or record your goals. Each notebook has 80 ruled pages, protected with strap closure and polycanvas cover.